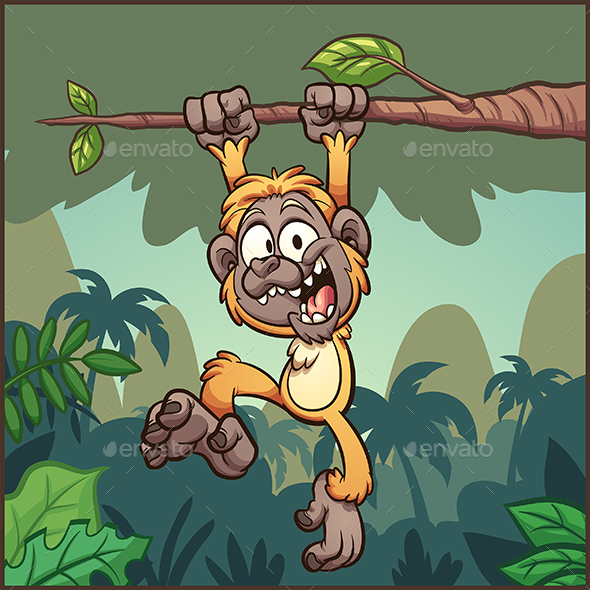 Cartoon gibbon monkey hanging from a branch in front of a jungle background. Vector illustration with simple gradients. Some elements on separate layers. EPS10 and PSD files included.